Teaching for Learning | Teaching for Learning: Why else? Jottings from a prolific learner and educator! I am not really a Bob Dylan fan, much to my husband’s disappointment. However, on this point, the point about how fast the times are changing, I think Bob Dylan is bang on. Even if it is almost 60 years since he wrote those lyrics. I spend a great deal of time helping teachers CHANGE their thinking about pedagogy, and I enjoy doing that a great deal. However, I feel we need to up the ante somewhat. We are not changing fast enough–because everything around us is changing at a faster rate! 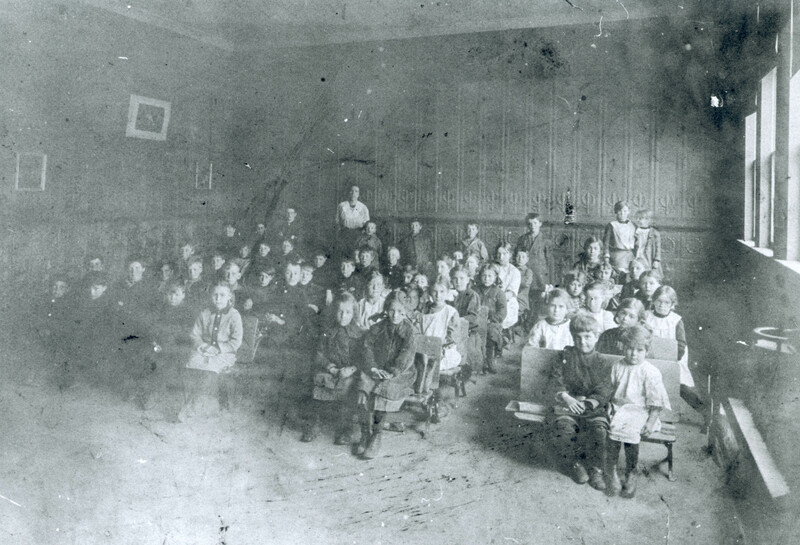 For many years, centuries even, we have ‘enjoyed’ traditional formal school settings that were designed to meet the needs of the agricultural and industrial age of the time. This new age, the Information age, is definitely different from the Industrial age. During the Industrial Age, changes in technology occurred at a slow pace. Fluorescent lighting took 82 years from invention to production; television took 29 years to develop; the ballpoint pen took 50 years; the zipper, 32 years (Burris, 1997). But during the Information Age, the speed of change has escalated. For example, in the music industry alone we have seen vinyl records replaced by CDs within 5 years of being introduced (Burris, 1997). There is truth in the cliché, “the times they are a changing”…but changing even faster now. So where does that leave education? Well, we don’t really need “know-how/know-what” knowledge like we once did ; it is easy to get that from google. We need to teach our kids to think and figure out for themselves what they should do (www.shiftingthinking.org). Students need different skill sets and different attitudes than those that were necessary in the 20th century. The 20th century was about the 3 Rs; the 21st century is about so much more. New skills such as: leadership; digital literacy; communication; emotional intelligence; entrepreneurship; global citizenship; problem solving; team working (www.eduemic.com) are now necessary. It will be tough for teachers to learn and understand these skills, and even tougher to weave them into their daily practice. So teachers, if you are comfortable in your practice and thinking that you can continue to do things in pretty much the same way you always have been, then think again. Challenge your beliefs; challenge your thinking; change your practice. You need to ‘develop’ at a faster pace. Compare your development to a smartphone rather than the zipper, or the television. A whole generation of kids needs you to do just that. Burris, D. & R. Gittines. (1997). Technotrends: How to use technology to go beyond your competition. New York: HarperBusiness. April showers and springtime in Canada. My thoughts and my heart go back to 2013 when I was principal of Cambridge A Levels at Taylors College in Malaysia. Oh how I miss the staff and students! Such fun times. Check out my post from April 2013. A wakeup call for everyone! Those of us in the education business have grappled with social media issues for some time. Our students are way ahead of us in their expertise with technology and it has been enough struggle to keep up with the technology, let alone develop guidelines and protocols. 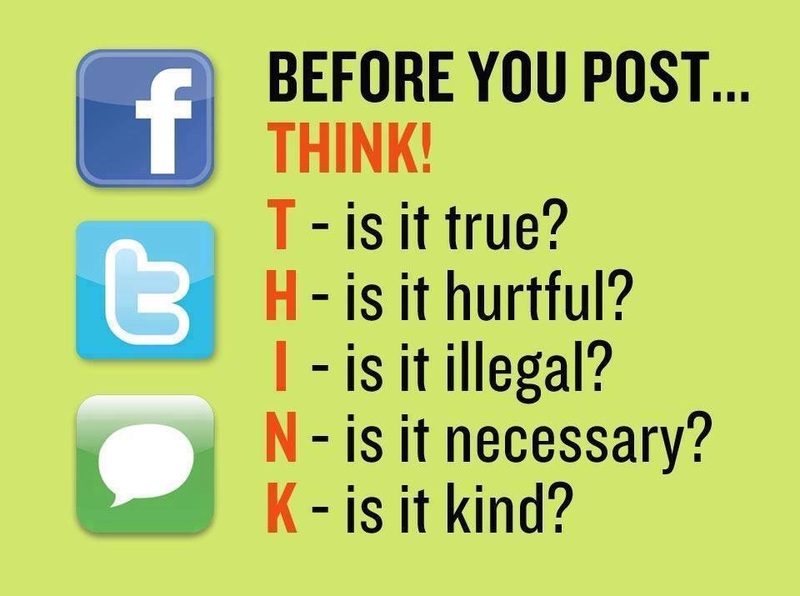 But this incident is a poignant reminder of how important it is for us to teach students to THINK before you TWEET! Once it’s out there…it’s there forever! It’s part of a digital footprint that doesn’t get washed away. The Ontario Ministry of Education recently revised its Health and Physical Education Curriculum, and has received a lot of heat for its very liberal (pun intended) views. However, the revision does address many potential online risks, including that of ‘sexting’. A ‘Quick Facts for Parents’ part of the document, assures us that “learning about using technology responsibly and safely is part of students’ learning in all subjects and courses” (www.edu.gov.on.ca). In light of this recent incident, this revision at least is definitely needed. I think that social media tools are a definite asset in today’s classrooms. What better way to engage our 21st century learners after all? I do hope teachers will continue to leverage these tools in spite of the challenges associated with them. We need to be diligent in our efforts to teach safe protocols and ethics guidelines–at every opportunity. Thankfully there are many resources available to help us and I have listed several here. I love being able to share engaging and effective teaching strategies that I come across–especially those that involve mathematics. The activity described here is one that my sister used in her grade one classroom today and it effectively integrates cooperative learning, social interaction, critical thinking, open-ended questioning, and student-centred learning. That is no small feat! Students will collaboratively compose and decompose a number in a variety of ways. Students will demonstrate learning skills such as cooperation and team building. Students were each given a card with a number less than 20 on one side of it and a different number (<20) on the back. 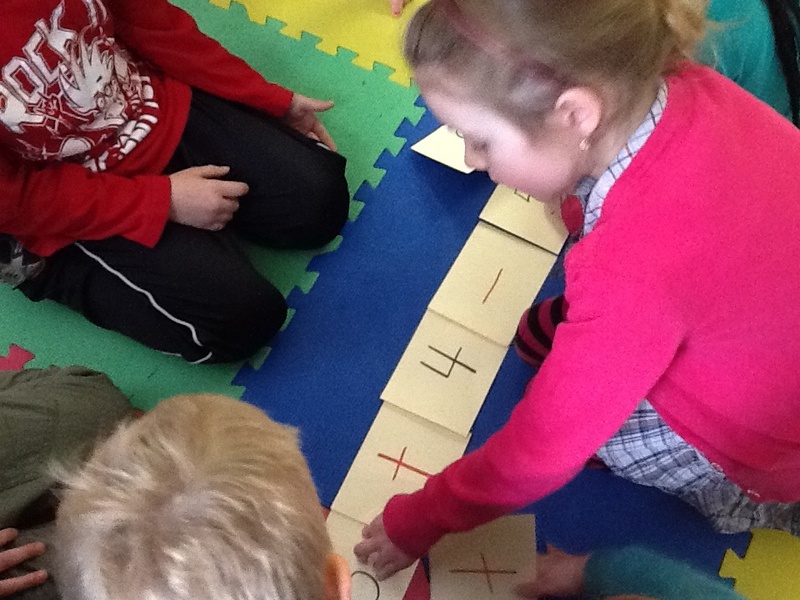 They were also given a card with an + (addition) sign or a – (subtraction) sign (this was later modified). 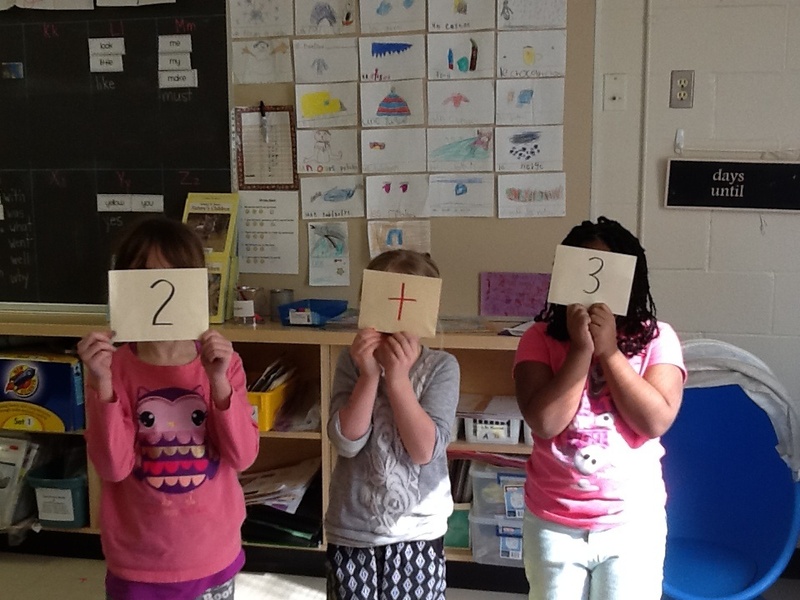 Students all stood up while the teacher called out a number. 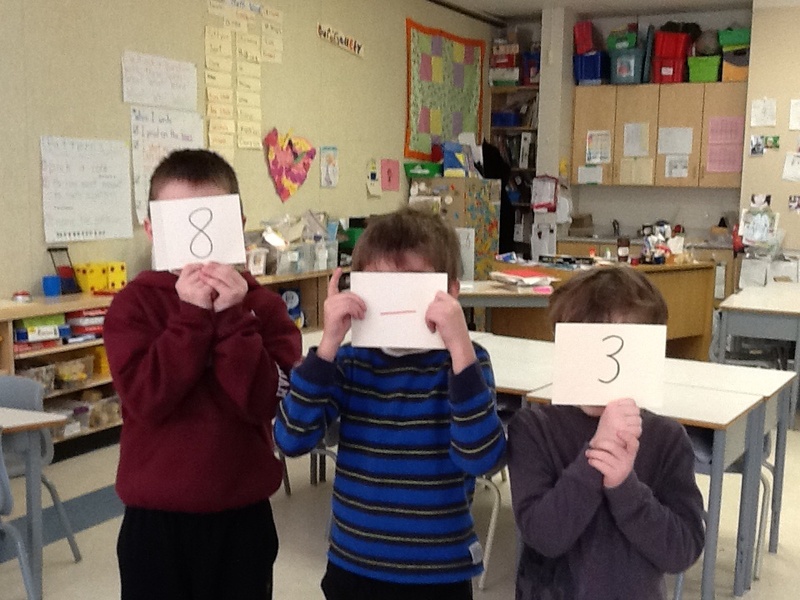 They were asked to group themselves to make a sentence that represented that number. For students who were unable to find groups, the teacher facilitated other students helping to find combinations that made 5. (In this case, the students placed their cards down on the floor to see if anyone could find more 5s with them). After another round with a number other than 5, the teacher asked if there were any changes they could make to the game. The students suggested having more pluses and minuses and so they put a plus side on one side of the card and a minus sign on the other side. Students enjoyed the activity a great deal. They asked to play the game again in the next math block. I believe this activity was effective in developing the understanding that a number can be composed or decomposed in many ways. The activity involved open-ended questioning that elicited engagement, team building, as well as understanding. The teacher empowered them by involving them in designing the game and valuing their input. This goes a long way in developing an authentic ‘community of learners’. Way to go Nancy! Your students are very fortunate. ‘Community of learners’ and social interaction are emphasized in The Early Math Strategy: The Report of the Expert Panel on Early Math in Ontario (MOE, 2003), which clearly outlines the important role a primary teacher has in nurturing positive attitudes towards mathematics as well as mathematical skills. Part of this role is to build a “community of mathematics learners” by including many opportunities for social interaction. 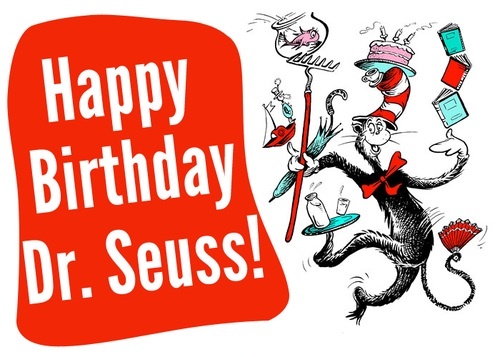 Dr Seuss would be 111 years old today and while I won’t celebrate by eating green eggs and ham, I will pay tribute to this remarkable man by reflecting on the impact he has made. I could never take reading for granted. My father, who would be 91 if he were alive, had never learned to read. He had been too distracted during the 5km walk to school to actually attend. Fishing with his brothers was more fun. However, as an adult, he had to adapt of course. I watched my mother read the newspaper to him each evening after dinner, and while I found that scene very endearing, it also made me realize how important it is to be able to read for yourself. We did not have Dr Seuss books in my home while I was growing up, but we did have them in our school and church library. It was a lot of fun to read those silly books, but I hadn’t realized how much fun until I introduced them to my own children. My son was only three years old when he learned to read Dr Seuss books. I watched him work very hard as he poured over the pages, searching for visual cues that would help him decipher the words, and basically teaching himself to read. He was small for his age; a fact that did bother him far more than I liked. That summer I took him to the weekly library reading program where he enjoyed reading along with the other children, all of whom were bigger or older than he was. I realized then how empowering reading can be. It was such a confidence booster! The experience also taught him another valuable life lesson: learning is hard work! You need to persist, struggle, and never give up. I have been reading a lot about Growth Mindsets and the work of Carol Dweck at Stanford University. I think Dr Seuss had a Growth Mindset and nurtured it for many of us. So thank you Dr Seuss for the powerful life lessons you taught us. You were way ahead of your time! “You have brains in your head and feet in your shoes, you can steer yourself in any direction you choose to”. I am currently enrolled in two online courses that I am quite excited about: Active and Engaged Learning, and Metacognition. As I work through the materials in each course I have been thinking about many of the workshops I have provided over the past few years and particularly, what some of the successes were. It has occurred to me that my best instructional workshops included cooperative learning activities that had a metacognitive training aspect to them. Metacognition really is “thinking about your thinking”. I first became interested in the subject many years ago when teaching secondary mathematics and then made it the subject of my master’s thesis. This was over 10 years ago now, but the lessons are still relevant today. My research, a case study entitled, ‘Thinking about Thinking in mathematics classes’, explored opportunities for students to examine their thinking while learning mathematics. So it isn’t surprising that metacognition creeped into my cooperative learning structures during teacher training workshops. The teachers told me they had never been asked to evaluate their own thinking before. It was the first of many self assessments and I believe it helped teachers monitor their thinking and their learning much more effectively. But I also believe that the fact that this self assessment was couched in a cooperative learning activity not only made it more engaging but it also gave them the benefit of examining their thoughts even further as they explained them to others and gathered feedback. It is indeed a challenge to regularly provide metacognitive training to students. Good formative assessment practices will go a long way here. However, when we can combine these with cooperative learning structures we enhance the learning experience. How might you use this WINNING COMBO in your classes? Would love to hear your ideas. I will include a few more examples in future posts. I decided to research this combo (metacognitive training and cooperative learning) and discovered that there is very little available. It seems that the research looks at the two entities independently as well. However, there are pockets of research being done to suggest that this is a winning combination. There is a plethora of research available on metacognition and learning, beginning with a formal definition from Flavell (1976). Similarly, cooperative learning (COOP) has been a research topic explored by gurus such as Kagan (1994), and Johnson & Johnson (1999). (You have seen me reference these in past posts). The research on COOP seems to emphasize social and team-work skills that are achieved in a COOP environment. 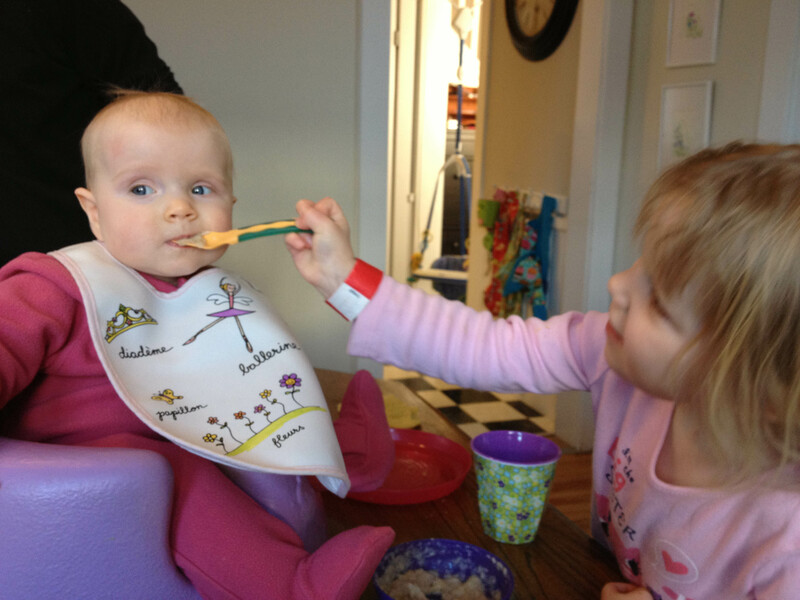 The research on metacognition rarely mentions COOP. However I did find one study by Kramarski & Mevarech (2003) that involved four groups of students, one of which included instructional methods that combined cooperative learning with metacognitive training (META). (The other three groups were: individualized learning (IND) with META; COOP; and IND.) The study determined that the COOP + META group outperformed the other groups significantly. Kramarski, B., & Mevarech, Z. R. (2003). Enhancing Mathematical Reasoning in the Classroom: The Effects of Cooperative Learning and Metacognitive Training. American Educational Research Journal, 40, 281-310.